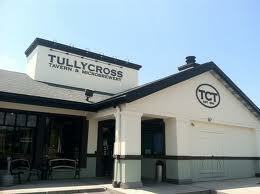 Tullycross Tavern & Microbrewery in Manchester, Conn. has closed. The brewpub opened in 2011 and while it did see its ups and downs (changing brewers a few times probably didn’t set too well, but that’s just conjecture), it certainly didn’t deserve an early demise. CTnow.com and the Journal Inquirer recently reported about the early November closing, which appears to be economically driven. My email to the brewery for comment has not yet been returned. There is a new nanobrewery in Manchester called Top Shelf Brewing, so at least the area continues to have craft beer. I wrote a column about Tullycross in June of 2011 and I share it here for you. References to the economy are fairy eerie to me now. I wish the owners well, and I hope that a brewery opens up in the building soon. In the commercially zoned territory just east of Hartford, where a mall/fast food/asphalt-for-miles landscape dominates, one brewpub turned into another. It happened surreptitiously enough in March: one day it was an English-themed microbrewery chain member (John Harvard’s) and the next day it was the Irish-themed Tullycross Tavern and Microbrewery. For patrons of the Manchester establishment, changes were minimal. It still had a hearty European-themed menu and it still had a quality assortment of brewed-on-the-premises ales. Even most of the staff, including the brewmaster, remained the same. Owner Sean Wansor, however, sees a brand new opportunity in the familar. Tullycross, he says, has the potential to become the first of a string (he wouldn’t use “chain”) of brewpubs stretching from Washington, DC, to Boston. In such a dismal economic environment, and in a state with a reputation for business-averse tax and fee structures, could it be that Wansor is disconnected from market reality? I sidled up to the brewpub’s bar on a Saturday afternoon and took in the environment. It had been 10 years since I’d been in the John Harvard’s, and to my dim memory very little had changed. There are now green accents to highlight the Irish-ness of the bar, but nothing is awash in Emerald Isle puffery. The lighting is low and so is the volume on the rock music that plays in the background. Taking a walk through the larger L-shaped dining room, I see that it is brighter and that the booths provide more privacy for eaters who like their conversations intimate. That was never my speed: I’m an inveterate eavesdropper and offerer of unsolicited comments; it’s harder to correct someone’s assumption that Led Zeppelin’s best album was “Houses of the Holy” when you have to lean over a booth divider. I pass a tall window to see brewmaster Frank Fermino checking up on his copper tanks and made a note to snag him for a quick interview before I drive the hour home. I also make note that I have to drive an hour home, so it is time to get the drinking and eating in and allow myself some recovery time. The sampler flight consists of five, five-ounce glasses of Tavern Light, TCT Pale Ale, Left Coast India Pale Ale, Silk City Stout, and a sour called the Belgian Parti at Night. Out of these, the Left Coast IPA and dry, roasty stout get my attention. As the bartender explains, Tullycross likes to change up its IPAs regularly, so that there might be one with English hops one week and a West Coast-style IPA the next, as this one is, with Chinook, Simcoe and Cascade hops. It had an orangey bite. With eight taps and a cask (which wasn’t available the day I went), the selection isn’t enormous, but when you consider that you’re getting the freshest possible beers that you can’t get anywhere else, it’s worth it. I had a shepherd’s pie and Caesar salad with the drinks. The pie was small but hearty with spiced beef and smoothly whipped potato and a giant onion ring crowning it. Other Irish faire had its own section on the menu, along with pub favorites like burgers and steaks. Luckily, the brewmaster has time to chat a bit with me. Fermino – known also as “Uncle Frank” – says he started out as a homebrewing bank employee before running his own home brew store part time on Rhode Island. He wrote about beer for the “Yankee Brew News” newspaper and then made the got even more serious about brewing and brewed from 2005 to 2006 for Newport Storm Brewing on Rhode Island. There, he learned to be exact with his brewing and recreate replicas of beers based on established recipes. Now he’s playing with Imperial Russian stouts, sours and session (low alcohol) beers. “I just want to make beers that people like,” Fermino says. The man behind the launch of Tullycross isn’t at the restaurant. Sean Wansor is at home in Hudson Valley, NY, with a cough that’s been plaguing him, but it doesn’t diminish his enthusiasm for his establishment. Wansor, 41, says his background in real estate, restaurants and hospitality makes him prepared for his first venture into brewpub ownership. Wansor says he wants to create a tavern atmosphere that recalls Tully, the small Irish town where his father’s family traces its roots. He worked in a partnership with his father, Laurence, until his father passed away a few years ago. “I have a good group of staff members that take pride in their work,” he says. “I’ve set up an educational program for everyone to understand about the food, wine and beer. They’re the ambassadors so they really make the impression on the customers.” He returns to talking about the staff several times during our conversation. Offering targeted discounts based on customer purchasing patterns is part of Wasnor’s plan to keep drinkers and eaters returning. For hard-core beer geeks, Wasnor has set up a mug club, which has a waiting list already. For them, there will also be beer dinners and other discounts. And while the economy does give him pause, Wasnor said he doesn’t regret starting his string of restaurants in the heart of Connecticut now. “There’s opportunity in chaos,” he says. This entry was posted in Beer Snob and tagged Tullycross Tavern. Bookmark the permalink.